Radio Giroll is one of the most famous online radio station in France. Radio Giroll broadcast various kind of latest hip hop, classic, dance, electronic etc. music. 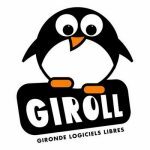 Giroll for Gironde Free Software is a collective created in 2006 through a message on the forum of the French community of Ubuntu. Radio Giroll live to broadcast from France.